Two decades ago, the U.S. Mint began issuing quarters with reverse designs celebrating each of the 50 states. 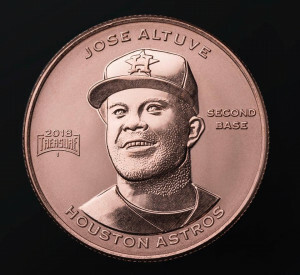 The program was a huge hit, renewing interest in coin collecting and inspiring a series Presidential dollar coins that was not quite as successful but did boost interest in the hobby. 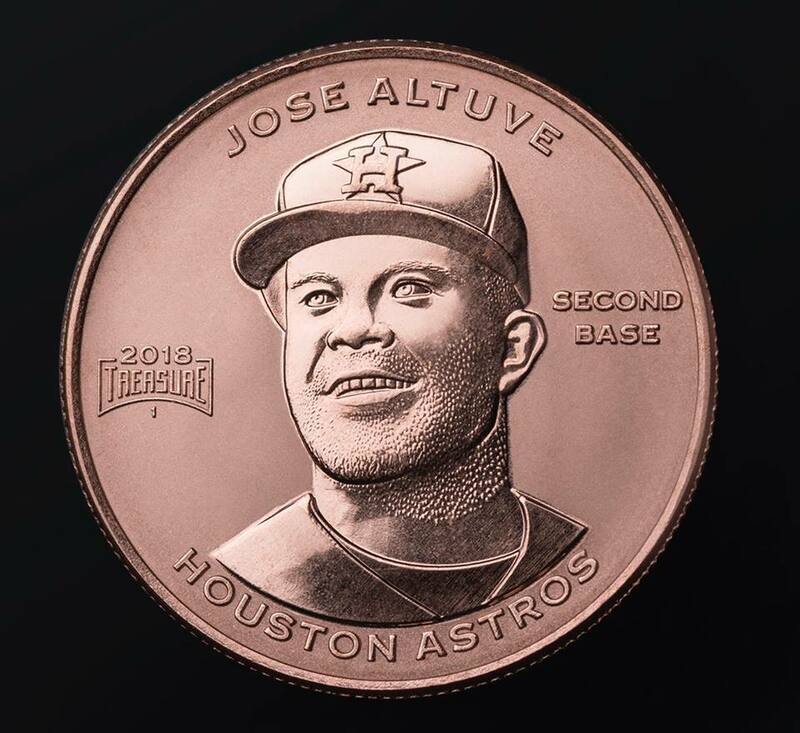 Perhaps with the popularity of those programs in mind—and adding in the twist of the “blind chase” that opening a sealed pack of cards provides, official MLB and MLBPA licensee Baseball Treasure last week announced a set of coins featuring stars of all 30 teams in copper, silver and gold. They were designed by Todd Radom, an independent graphic designer specializing in branding for professional sports franchises and events. His work includes the official logos for Super Bowl XXXVIII and the 2009 NBA All Star Game, as well as the graphic identity for Major League Baseball’s Washington Nationals and Los Angeles Angels.